You are here: Home / Jewelry / Engagement rings / Two exceptional diamond rings. I’m not sure who at Bonhams is in charge of deciding when to photograph two pieces of jewelry together to create a more pleasing effect, but they deserve a bonus for this picture. You see what I mean? Diamond BFF perfection. I hope the same person bought both of these. Especially if that person intends to give them to me. Let’s take a closer look, shall we? 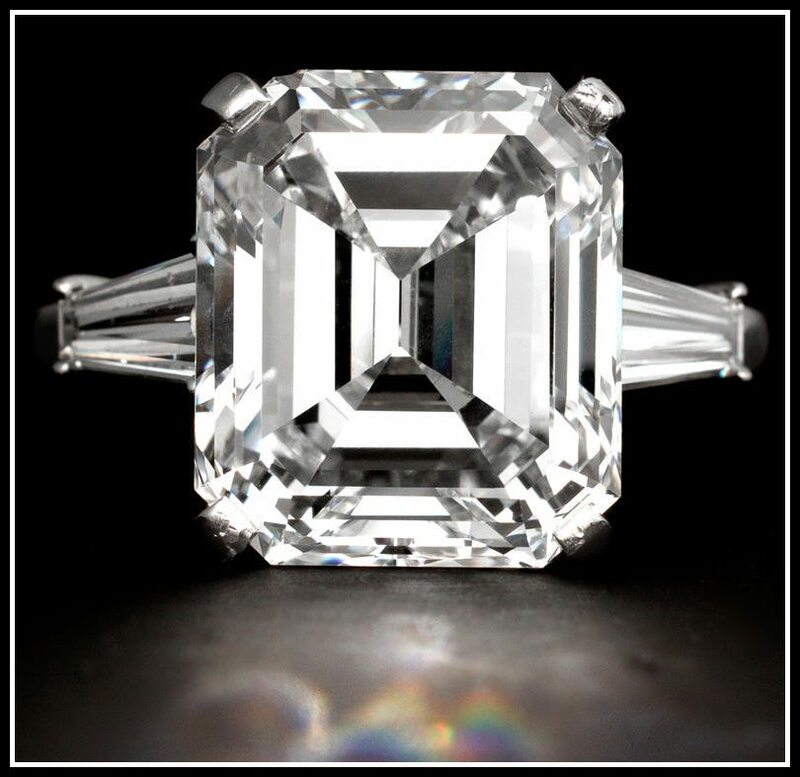 Exceptional diamond ring #1 is this beauty, which features a 5 carat round brilliant-cut diamond in an “undulating baguette-cut diamond surround.” The diamond surround adds another 2.5 carats to the total diamond weight. It is mounted in platinum and white gold. 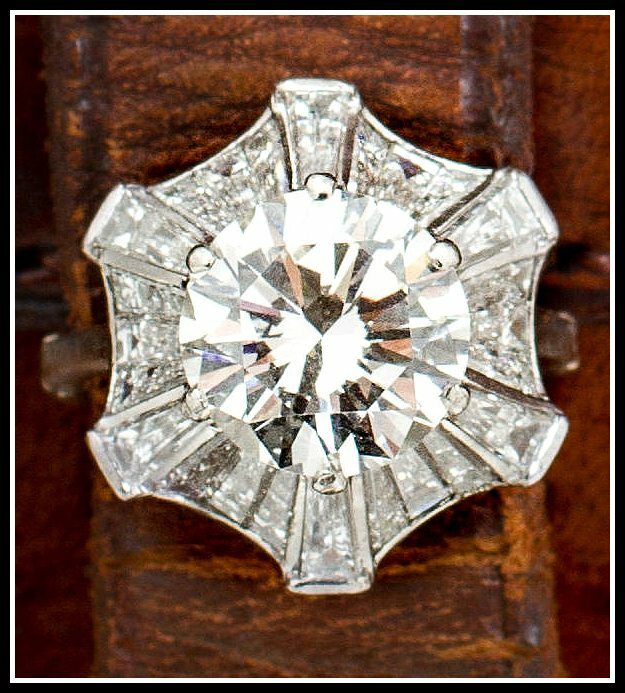 It reminds me somewhat of the 1930’s ballerina diamond ring I fell for at Scott Antique Market. I think it looks much more magnificent in the fiirst photo, but I wanted to give it a solo shot anyway. Exceptional diamond ring #2 is pure classic elegance. 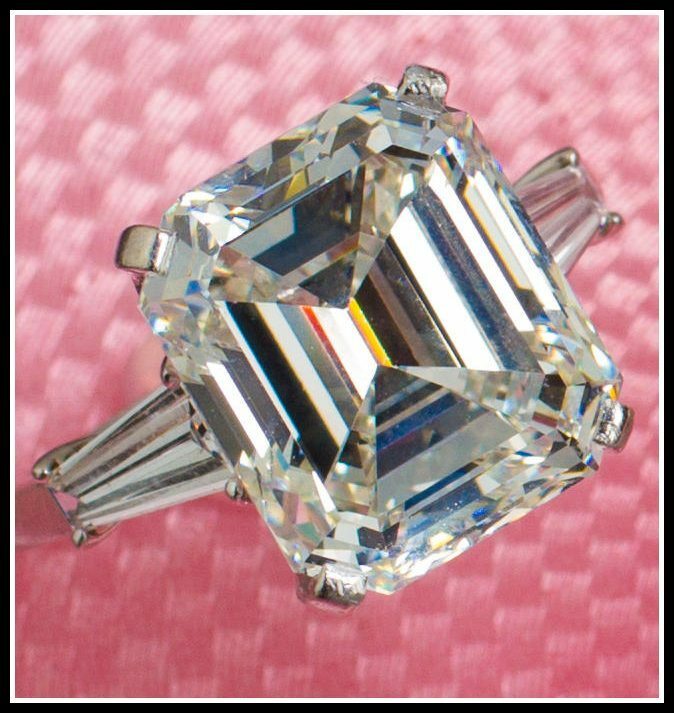 It centers a 10.48 carat cut-cornered rectangular-cut diamond flanked on either side by a tapered baguette-cut diamond. Here it is on a pink background, because why not? I can’t get over this diamond. The lines! Which of these rings would you choose if you could only have one? I’m inclined to choose #1, but the cut-cornered center stone of #2 makes my knees weak. 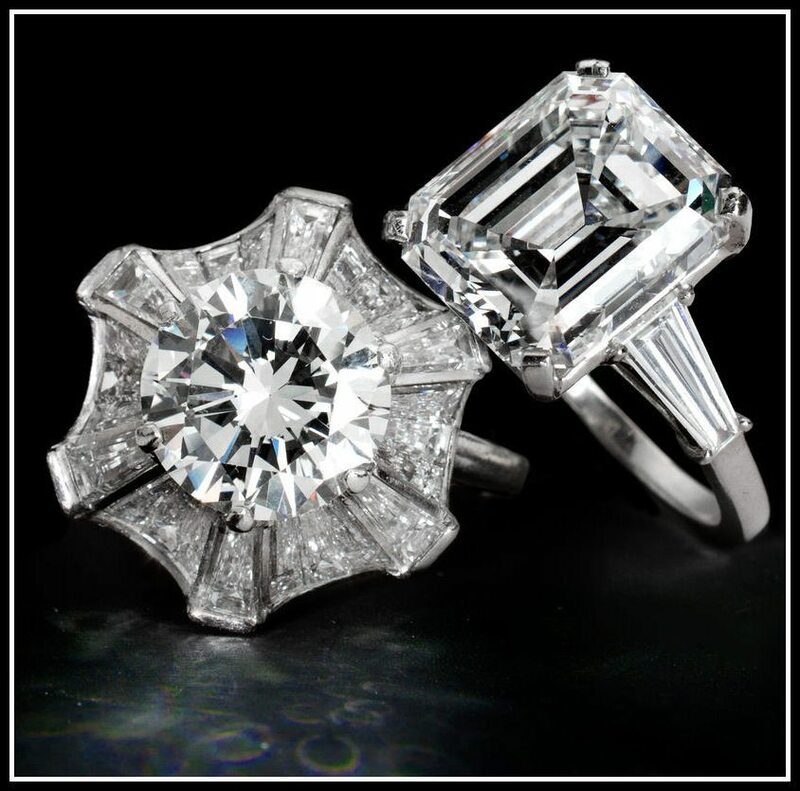 These two exceptional diamond rings were both listed in an October 2013 Bonhams auction. All images and info are thanks to Bohams.